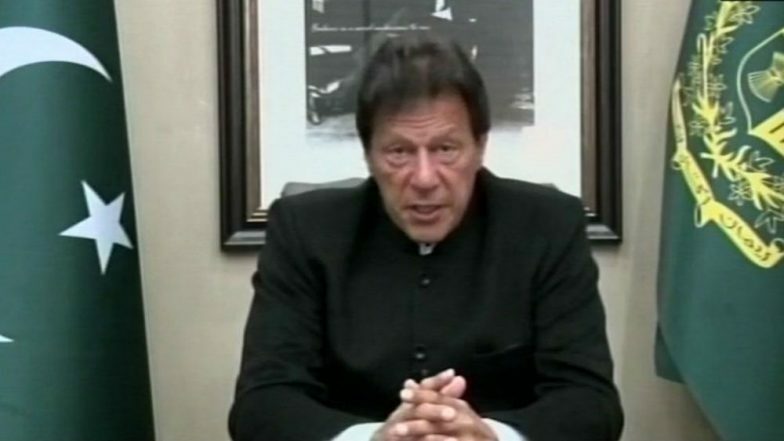 Islamabad, March 20: Pakistan Prime Minister Imran Khan on Wednesday extended Holi wishes to the Hindu community. Khan tweeted, “Wishing our Hindu community a very happy and peaceful Holi, the festival of colours.” Earlier on the occasion of Diwali also, the Pakistan PM extended his good wishes to the Hindu community. National Assembly Speaker Asad Qaiser had also greeted Hindu parliamentarians and the Hindu community on the festival of lights. Pakistan Peoples Party chief Bilawal Bhutto also greeted Hindu community of the country on the occasion of Holi. He tweeted, "Happy Holi to all my Hindu brothers & sisters. On the happy occasion of Holi, let us spread the wonderful massage of peace and happiness." (Sic). Hinduism is the second largest religion in Pakistan after Islam. Hindus comprise over 1.6% of Pakistan's population. According to the Election Commission of Pakistan, there are 1.49 million Hindu voters in the country. They are mostly concentrated in Sindh where their number comes to over 1.39 million. Brij Holi 2019 Dates and Calendar: Know The Schedule of Holi Festival Celebrations in Religious Towns of Mathura and Vrindavan in UP. Holi is one of the majorly celebrated festivals across India. Holi 2019 will be marked with Holika Dahan on March 20, also known as Choti Holi. The following day is called the rangwali Holi which sees people immersing in colours and water as a part of the festivities. Some parts of North India, especially the state of Uttar Pradesh has enthusiastic celebrations of this festival of colours.